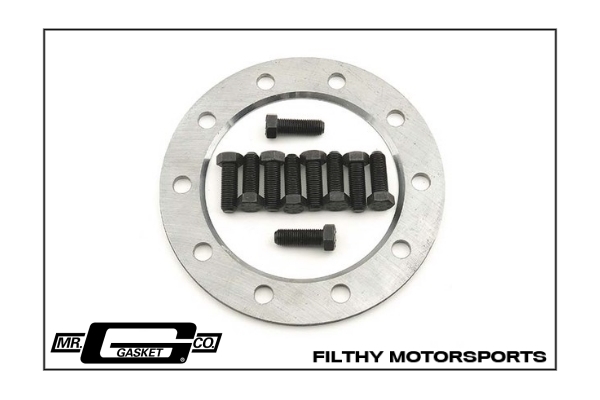 Mr. Gasket Ring Gear Spacers allow you to run standard cut high gears on a low gear differential carrier. They are precision stamped and ground for perfect parallel alignment and include new ring gear bolts. This adapter allows for the use of GM 9.25" Gears in the AAM / Chrysler 9.25" front axle. Mr. Gasket ring gear spacer images are © Copyright Mr. Gasket Co., used with permission.